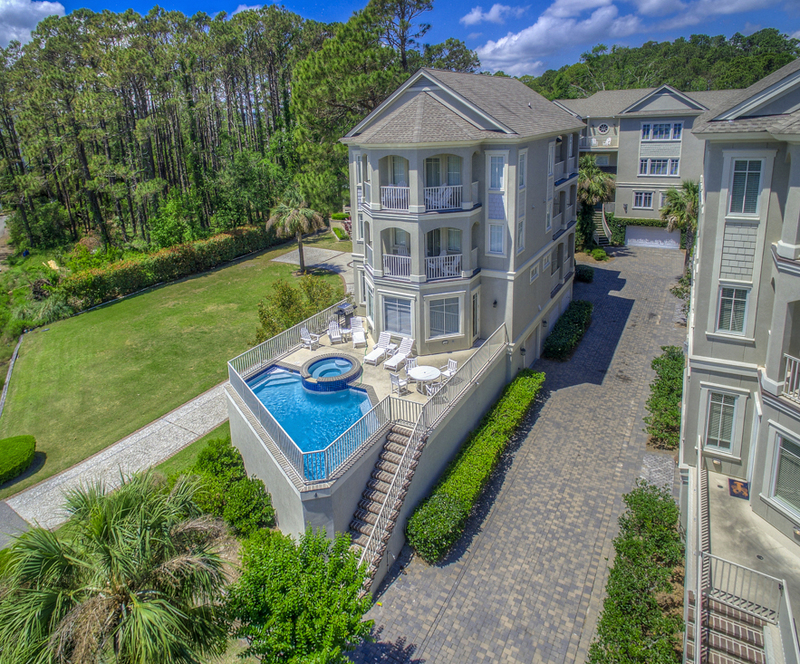 Welcome to 4 Urchin Manor, a luxurious 3rd Row, 3-story beach house with amazing ocean views located just 2-minutes away by flip-flops to the white sandy beaches of Hilton Head Island, SC. 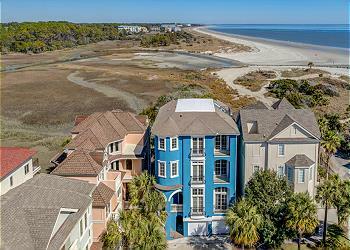 Be ready to enjoy the scenic view of the beach right from the balcony of your master suite. Spaciously accommodating 20 people with its 6 bedrooms, 9 beds, 3 Queen sofa-beds, 5 full bathrooms and 2 powder rooms, zoned AC, free Wi-Fi, pool & spa, bar, elevator and 3 parking spots, you will embrace this lovely place for your large family & friend gatherings. 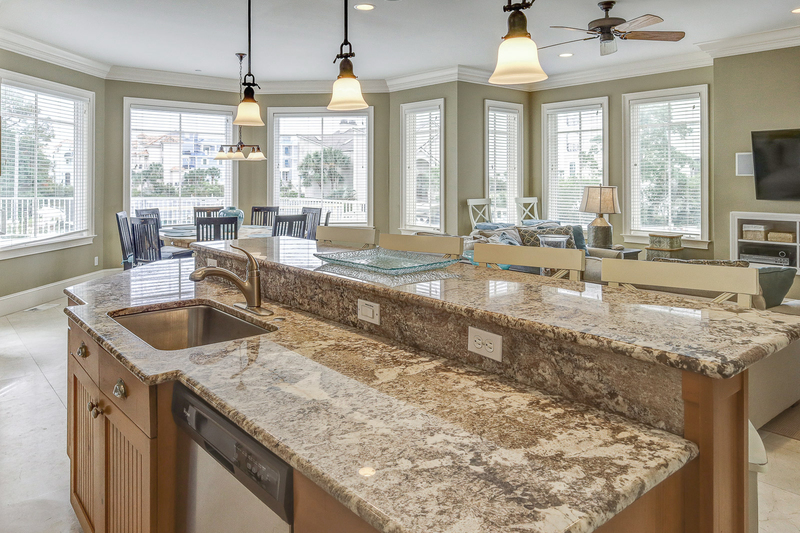 You will be delighted by the high-quality finishing of this professionally decorated house, with its subtle coastal décor, stunning open gourmet kitchen, large granite island, marble tile floor, and its oversize windows enlightening the living area. 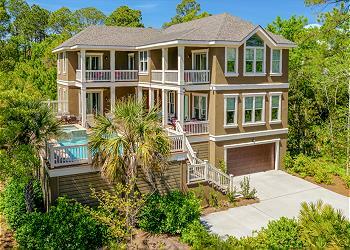 Small dog, kid & teenager friendly, this warm house will certainly entertain your youngsters with its private pool & spa, sunny patio, 2 whirlpool tubs, 7 TVs including a Smart TV, kids and teen designed bedrooms, and foosball. Well located on a private street, you will be minutes away from enjoying multiple family activities, thanks to the 6 tennis courts at Chaplin Park, the numerous high-end golf courses, miles of cycling trails, Shelter Cove Town Center, mini-golf & arcade, etc.